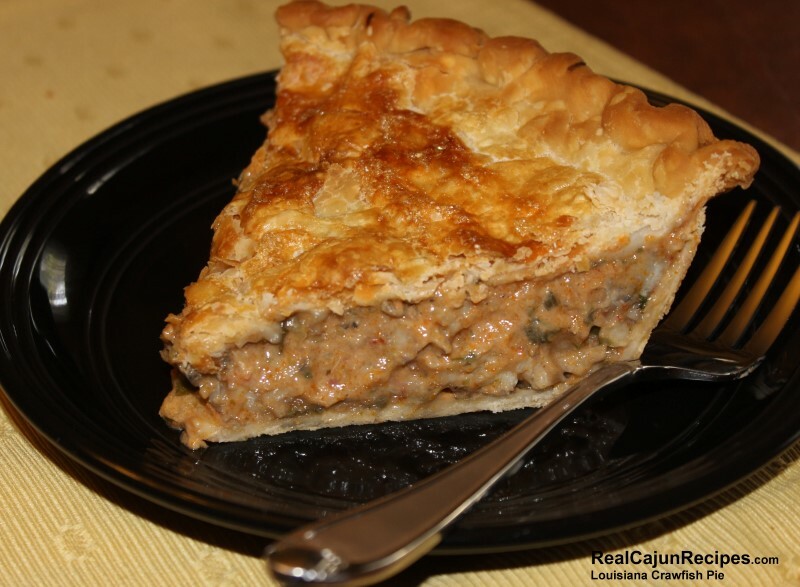 Crawfish Pie – a Louisiana favorite – No Crawfish? Put in dat shrimp instead. So Lentilicious gud, ma freind! Line a 9-inch pie pan and bake bottom crust to a light brown color as per the package instructions. In a medium saucepan, sauté onion, butter, seasonings and crawfish. Stir and blend in the mushroom soups, celery soup and the tomato sauce. Add parsley, green onions and garlic powder. Pour into the almost cooked pie shell. Cover with the remaining pie shell, slit and bake the shell per instructions or until the top shell is brown. For a shiny pie crust - brush lightly with egg white that has been slightly beaten.